Progressive rock as a genre had well and truly arrived in October of 1969 with the release of King Crimson’s formidable debut album In the Court of the Crimson King. This was obviously not sock hop music but instead an album to be reverently pondered in teenage dens of iniquity half-obscured in a cloud of hashish smoke. Their music, like many of their prog contemporaries, was undeniably adventurous, ranging from almost medieval-style balladry to speed-demon jazz-rock—in this case led by the guitar work (lilting and furious by turns) of KC kingpin Robert Fripp. In a musical zeitgeist where subject matter was reaching way beyond the old boy-gets-girl-or-not variations, it was not unheard of for bands to have their own in-house wordsmith—Procol Harum’s Keith Reid, the Grateful Dead’s Robert Hunter, etc. Enter Pete Sinfield, born in the Fulham section of London and raised by his bohemian-activist single mother, helped by Maria Wallenda from the famous high-wire family. 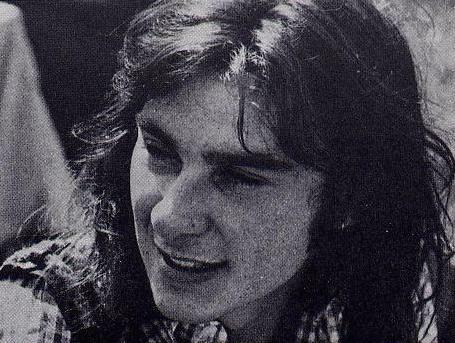 An easygoing poet/songwriter type, he was briefly in a band with multi-instrumentalist Ian MacDonald before the latter joined King Crimson. Sinfield didn’t have a chance matching up with the highly-skilled players in this band, but his words were a perfect fit. Pete’s fanciful lyrics had an otherworldly flair, drawing on both ancient-sounding fantasy scenarios and science-fiction. 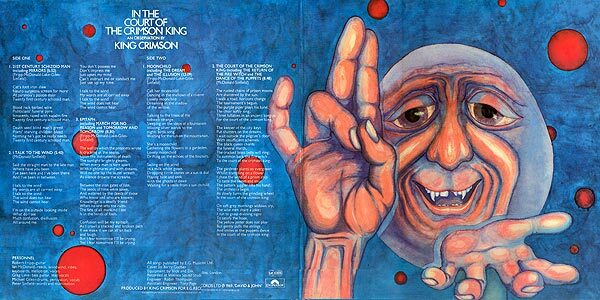 The words were printed prominently on the inner-gatefold amid the album’s striking artwork. Such writing reflects the era in its own way, the turbulence, the inner searching, the drugs. Though Sinfield’s type of lyricism, along with prog rock in general, came under a lot of criticism for its perceived pretensions, younger boomers embraced it as an alternative maybe to the naïve we-can-change-the-world stance of slightly earlier hippie times. In fact, a lot of his implied social criticism (see “21st Century Schizoid Man”) holds up much better nowadays. On into the Seventies, he re-teamed with Greg Lake to write for supergroup Emerson, Lake and Palmer, as well as for Italian proggers PFM. In 1975, Sinfield and Lake collaborated on “I Believe in Father Christmas” which has become a holiday standard, although the steely core behind the seasonal frosting is a trademark touch. 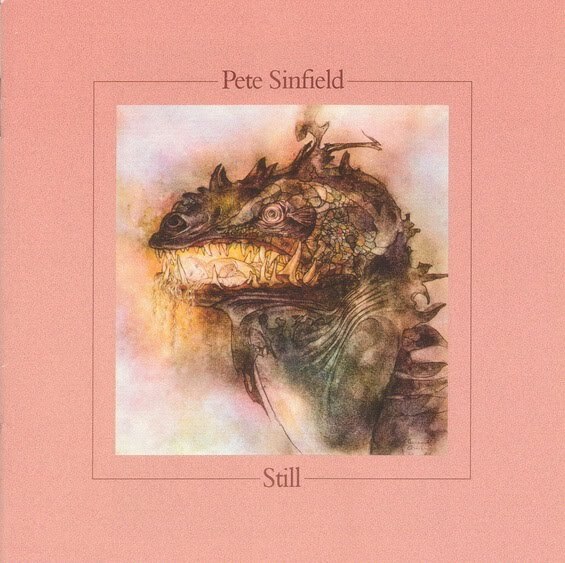 Sinfield has attempted in recent years to record another solo album, stymied in part by health issues, though he remains active as a poet and member of the British Academy of Songwriters. Here he is featured in a 2008 clip from the excellent Prog Rock Britannia series, looking back at the heady early days of King Crimson.